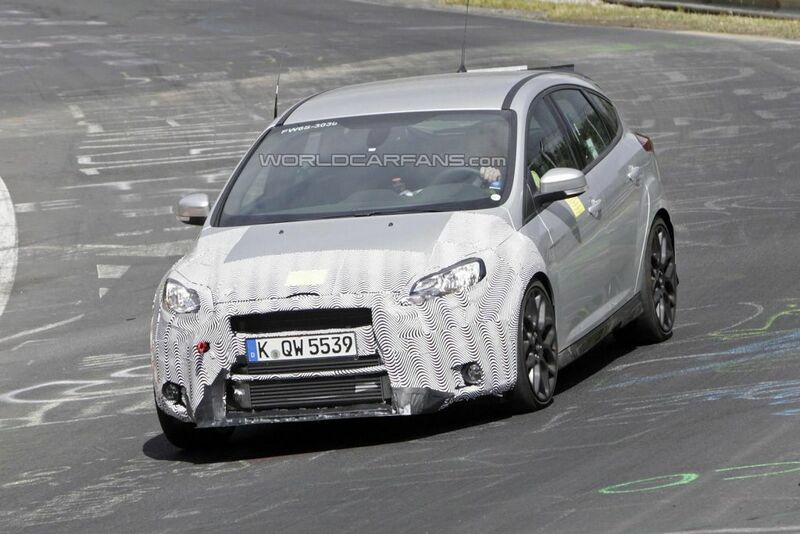 A 2016 Ford Focus RS mule has been spied undergoing testing at the Nürburgring. 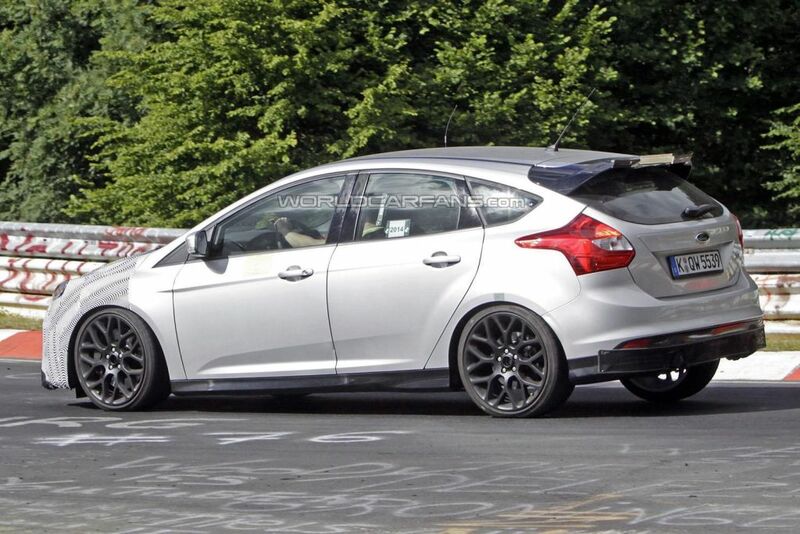 The test mule was wearing a pre-facelift Focus ST body but with some modifications such as the bigger air intakes, a front lip spoiler and a lowered ride height. In addition, it also came with a different roof-mounted spoiler and a modified exhaust pipe setup. 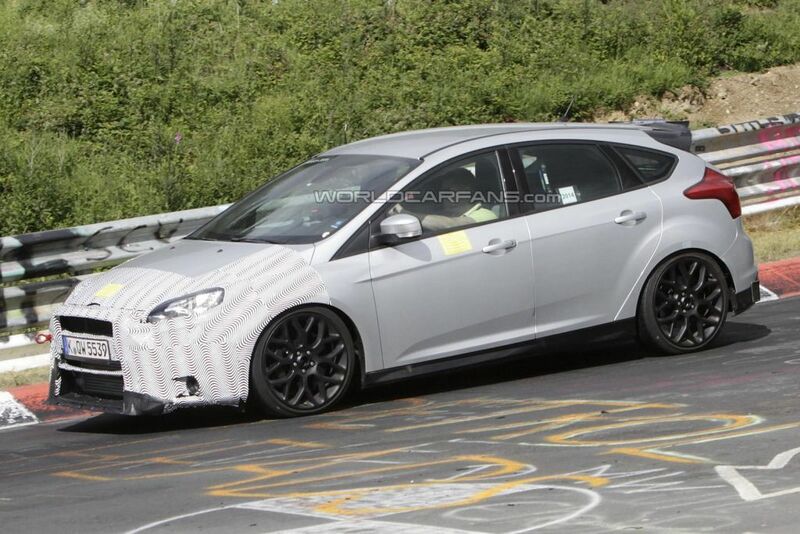 It is believed the Focus RS will remain a front-wheel drive car but to offset potential torque steer problems it will feature an electronic differential and an updated version of the Revoknuckle front suspension, Ford’s own adaptation of the MacPherson strut. 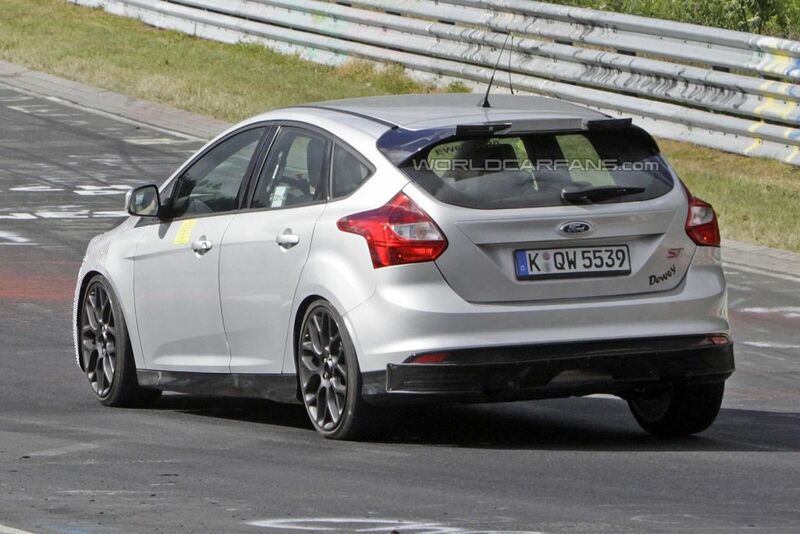 expected to be higher than in the pony car which has 305 bhp (227 kW) and 300 lb-ft (406 Nm). 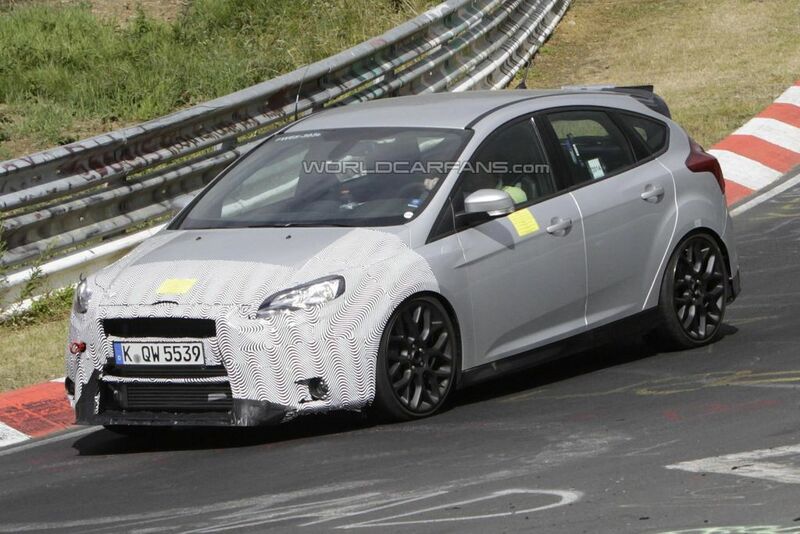 Reports are indicating Ford’s engineers will tweak the engine to deliver close to 350 bhp (261 kW). 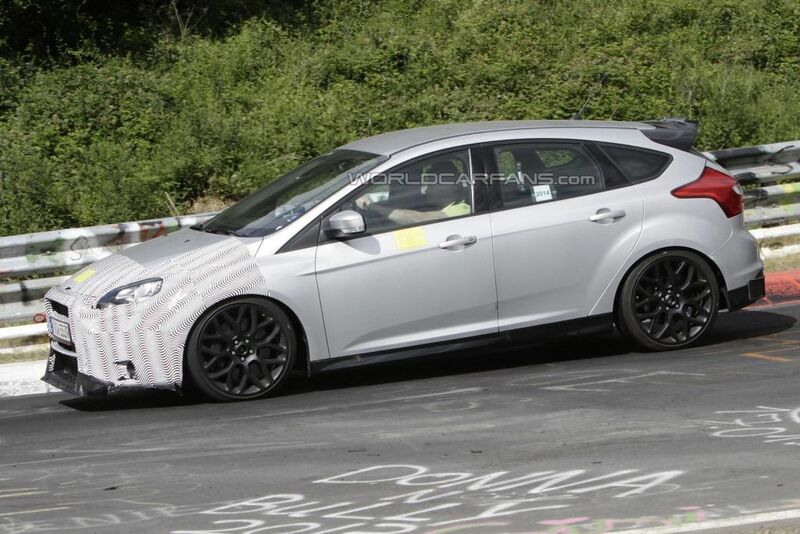 The Ford Focus RS will probably be introduced in the second half of 2015 at a starting price of 27,000 GBP (about 46,000 USD / 33,700 EUR).